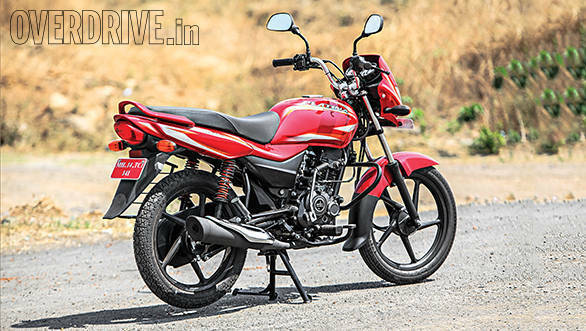 While I've never been a fan of motorcycles that sip rather than burn away their fuel, I have to admit that I'm quite intrigued with the Bajaj Platina 100 ES. 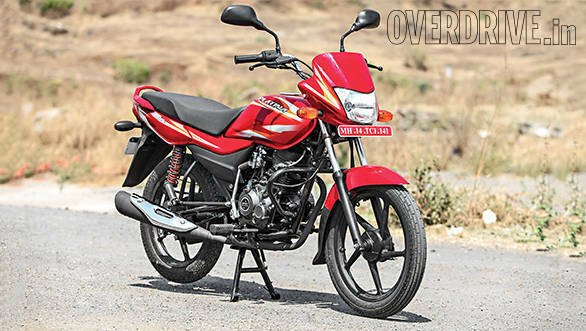 Bajaj claim that this little 100cc motor will sip on one litre of fuel for the better part of 97 kilometres, inching ever so close to the 100kmpl mark. 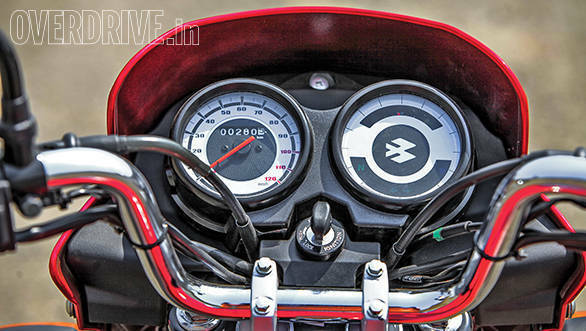 Since most motorcycles give a higher figure on the highway mileage run, we might actually cross that magic mark  this test should be fun. The new Platina does get a slight tweak in the styling department with a new set of decals but the basic design still reminds us of the Wind 125 it's based on. There is a bikini fairing with an almost flat line running from the tank to the end of the rather long seat. There is a small change to the side panels but overall the look is much the same as the Platina 100. The ES in the name stands for electric start and aside from this, the feature list is typically short. There are alloy wheels, drum brakes and a twin pod instrument cluster that consists of a large speedometer on one side and a fuel meter on the other. It retains the extra long 29-inch seat for comfort or to carry a large load, as these motorcycles inevitably do. 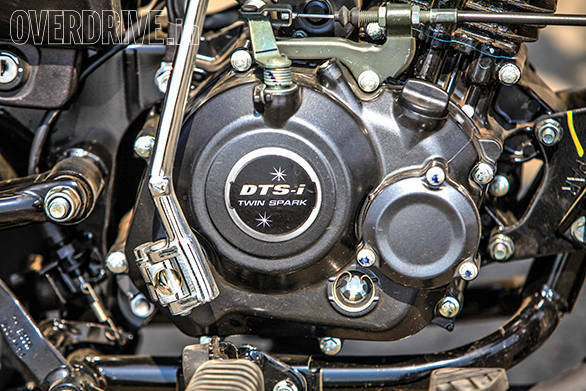 The engine too has received a number of tweaks and the displacement has grown to 102cc and it now features the DTS-i and exhaust TEC technology from its bigger siblings. The outright power figure remains the same 8.2PS at 7,500rpm but torque has received a 0.55Nm boost growing to 8.6Nm and now peaks 500rpm later at 5,000rpm. 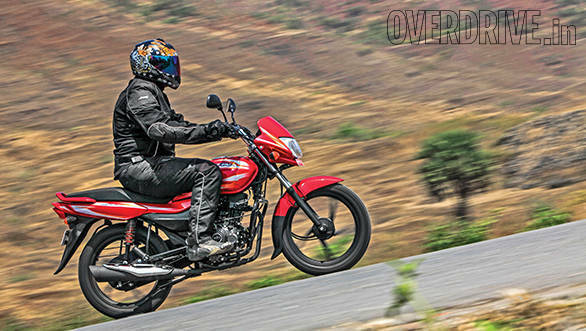 Bajaj has also strengthened and optimised the frame that has allowed it to shed an impressive five kilograms and shortening the wheelbase by 20mm. Ground clearance has increased to a healthy 190mm which should help keep the engine dry in the rains and safe over really bad roads. The new technology and lighter weight have allowed for a very efficient engine. 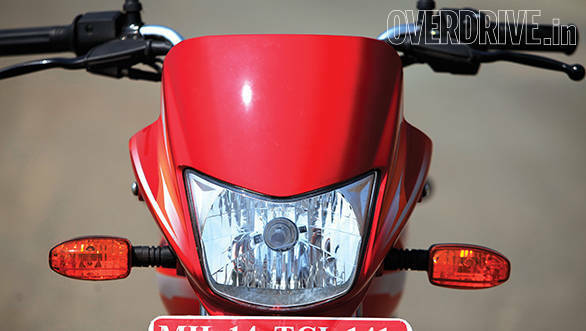 One that Bajaj is claiming is the most efficient in the world. We did manage a very respectable 91.80kmpl on the highway and though we didn't crack 100kmpl, it is one of the most frugal motorcycles that we have tested. In the last five years no motorcycle has come close. The city figure was 86.56kmpl giving it a very respectable 87.87kmpl overall. In our acceleration tests, it managed the sprint to 60kmph in 8.28 seconds and went on to a top speed of 87.1kmph. It's a comfortable motorcycle with a typical upright riding position that we've come to expect from commuters. The ride quality is fairly good and an improvement over the old Platina with the redesigned frame staying composed while still absorbing a lot of the rough roads. The engine has gained some refinement over the old non DTS-i motor and it's fairly pleasing at lower revs but vibrations do grow as the revs rise. The drum brakes are not the best and require a hard squeeze but they bring the bike to a halt in a respectable 20.1 metres. Overall the engine improvements have made a big difference in the efficiency and the refinement of the Platina and now there is the added convenience of an electric starter. There's also no arguing with that with the incredible fuel efficiency and at Rs 46,616 ex-Mumbai, it really becomes a great value proposition if you need to make every rupee count.